ALL NEW CARS !!! NO PROBLEM !! STATIONS ALL OVER CRETE!! ������ASK FOR THE DAY\'S OFFERS!!! ONLY NEW CARS!! 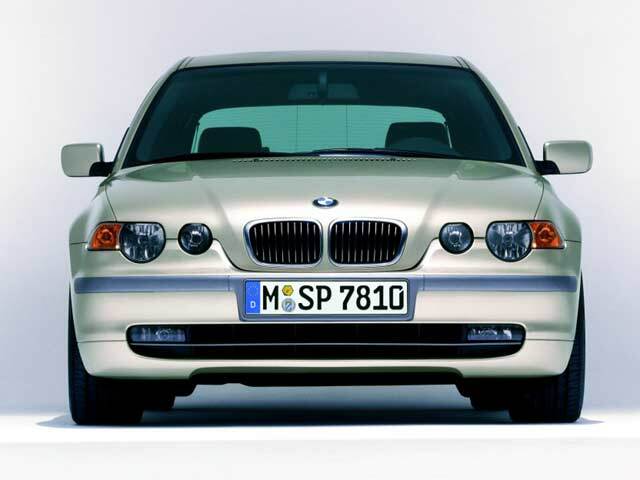 �����ALL OUR CARS ARE NEW MODELS !! 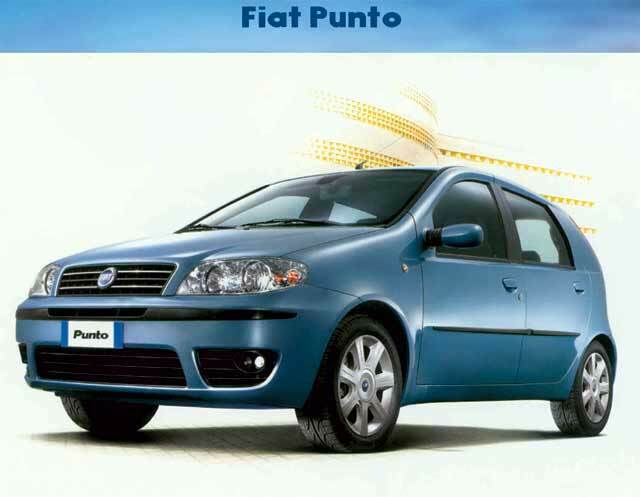 B SEAT IBIZA - FIAT PUNTO - OPEL CORCA - CHEVROLET AVEO. 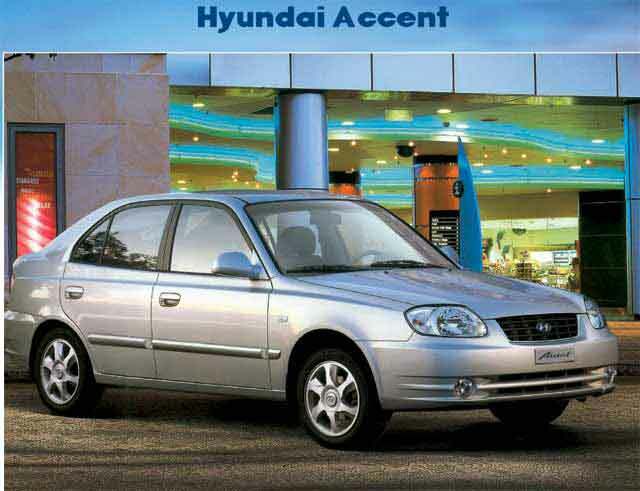 C2 HYUNDAI ELANTRA - PEUGEOT 307 A/C 5 SEATS 30EURO per day. 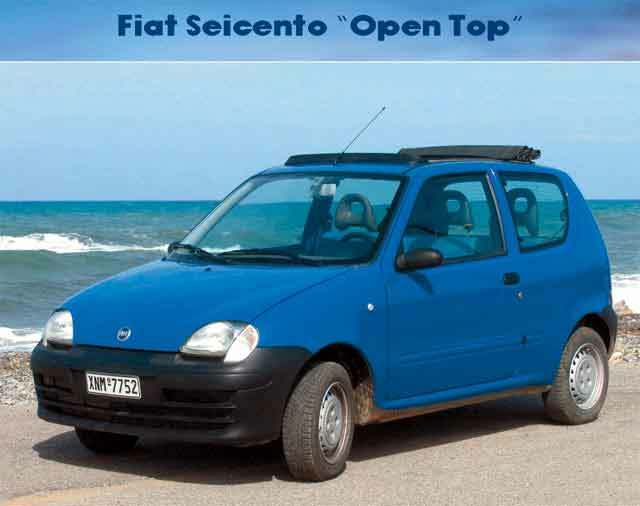 D RENAULT TWINGO - OPEL CORSA PEUGEOT - FORD CABRIO open top 4/5 SEATS 15 EURO per day. 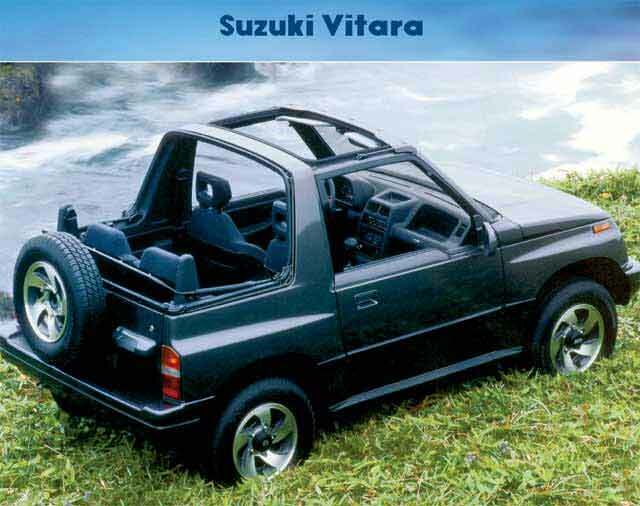 F SUZUKI - SUBARU 4X4 sun roof 6/7 SEATS 22 EURO per day. F1 FIAT SCUDO - MITSUBISHI L 300 A/C 9 SEATS 35 EURO per day. H MERCEDES A 140 A/C 5 SEATS 40 EURO per day. JEEP SAFARI - SAMARIA - ELAFONISSI - KNOSSOS - CRETAN EVENINGS - SPECIAL NIGHT TRIPS. LUXURY CEDAN AUTOMATIC. 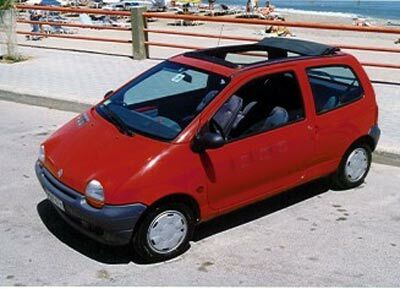 - CABRIO OPEN TOP. 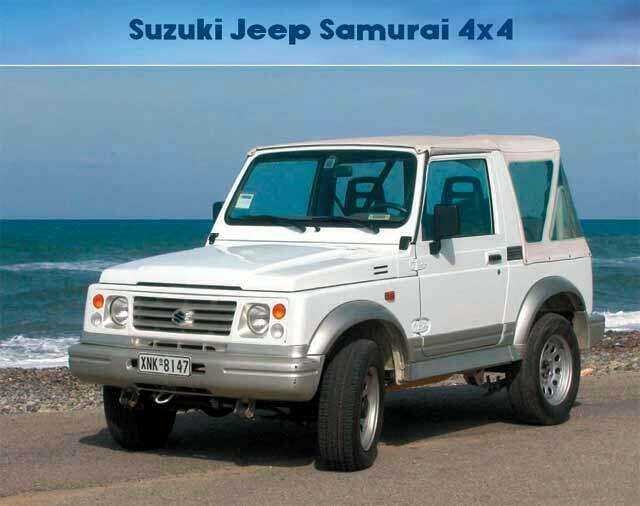 - 4 WD FUN CARS. 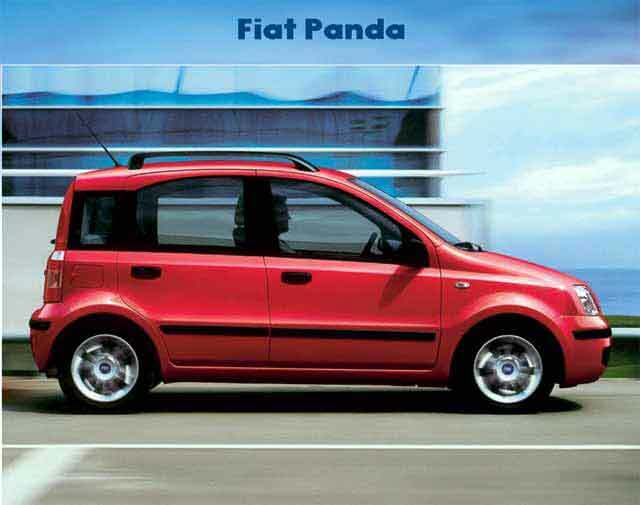 - MINI BUS FAMILY CARS. CAR AND BIKE - THE BEST CHOICE. 24 HRS ROAD - TOURIST SERVICE - ADAC - A/A - FDM - M - A/A/A - A.N.W.B. - T.W. 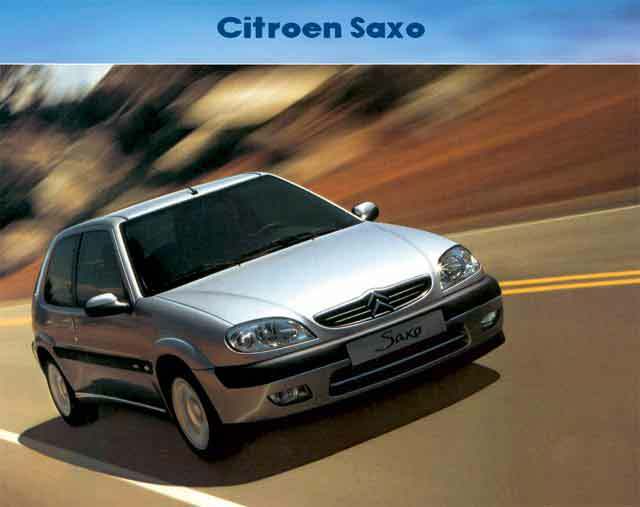 OUR PRICES INCLUDE:FULL INSURANCE 100% (INCLUDING TYRES AND DAMAGES UNDER THE CAR), NO DEDUCTABLE . - VAT 18%. - ROAD INSURANCE. FULL TOURIST SERVICE. - ADAC - A/A - FDM - M - A/A/A - A.N.W.B. - T.W. - PLUS FREE LAGUAGE STORAGE. CREDIT CARDS WELCOME - EXCELLENT RATES.